What does a music superstar do before a concert? We know, throw axes! 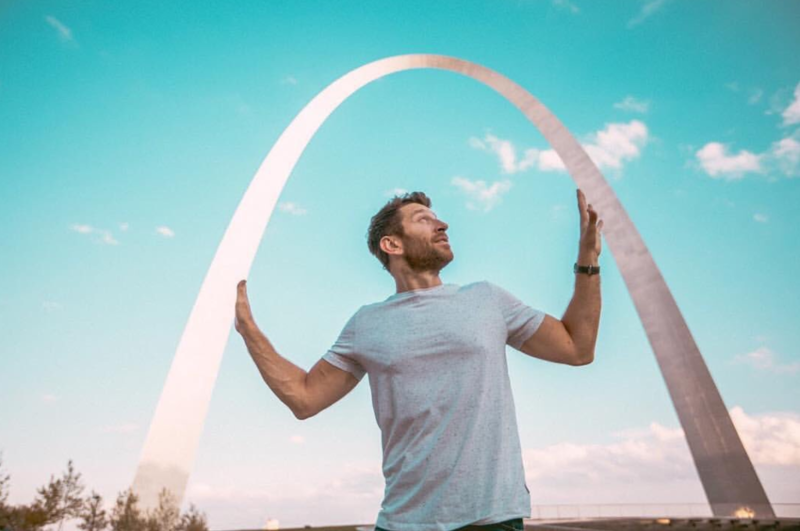 We were so honored to have Brett Eldredge stop by to hang out and throw some axes before his concert in downtown St. Louis earlier this month. Brett and his tour team friends decided axe throwing would be a fun activity prior to his concert. In true Brett- fashion, the group arrived just like every other group. He’s so laid back and friendly! The crew got a quick throwing demonstration. Then everyone had fun throwing axes. Of course, we took a few photos. 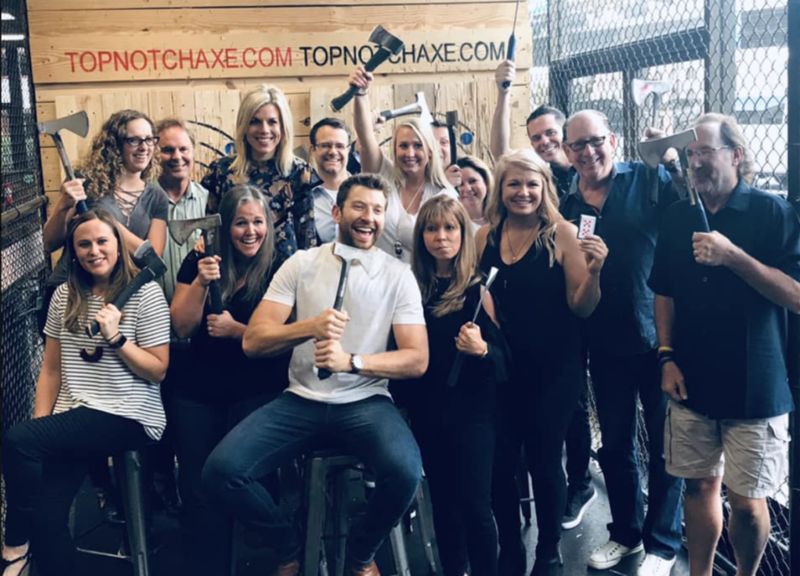 Brett Eldredge and his tour crew friends at Top Notch Axe Throwing in St. Louis. 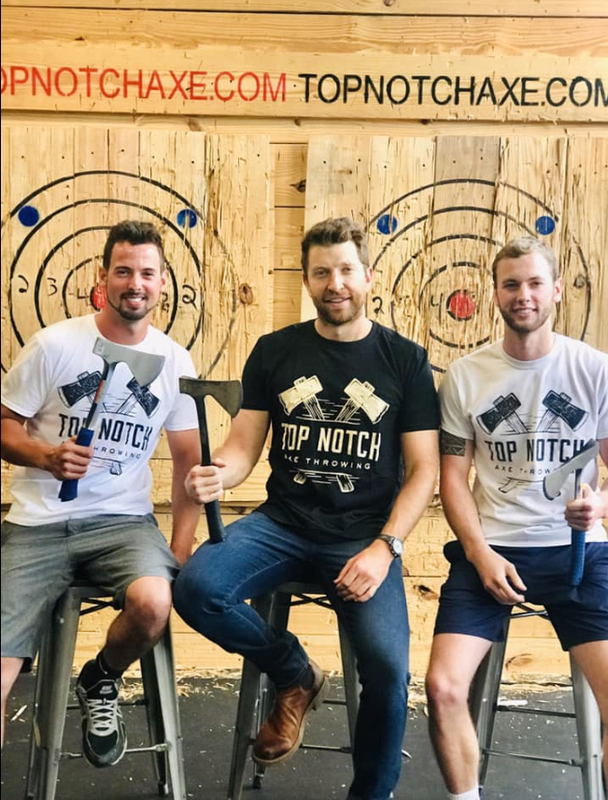 Pictured: Joe Prinster, Brett Eldredge and Steven Prinster at Top Notch Axe Throwing. Fun Fact: Top Notch Owner, Joe Prinster, has a special connection to Brett's music. Brett’s song, “Wanna Be That Song” was Joe’s wedding song. Little did Joe and his wife know at the time that Brett would one day visit Top Notch Axe Throwing. Thanks, Brett, for visiting Top Notch Axe Throwing! We hope the rest of your “The Long Way Tour” is a huge success. Come back and visit any time, your visit was a true pleasure.